Tri-Blend V-Neck Tee Just $11.99! Down From $24! Shipped! You are here: Home / Great Deals / Tri-Blend V-Neck Tee Just $11.99! Down From $24! Shipped! Until February 16 only! 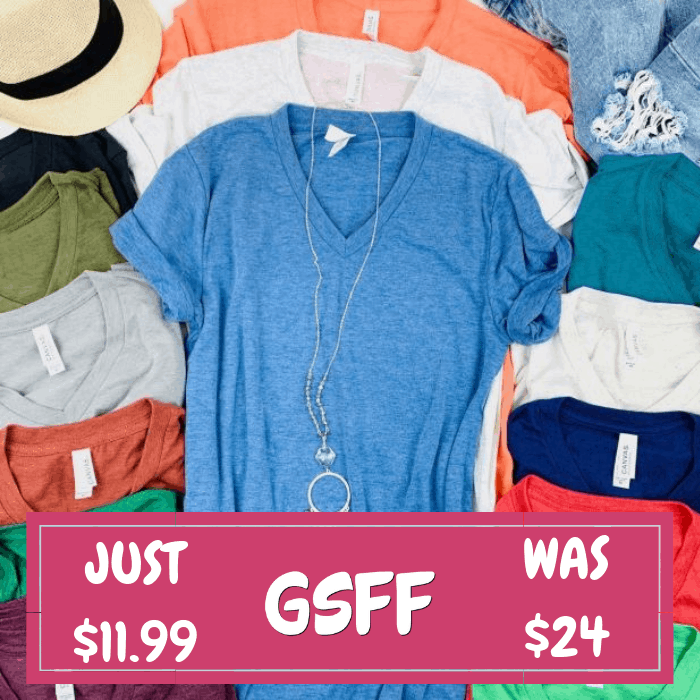 Jane is offering this Tri-Blend V-Neck Tee for just $11.99 down from $24 PLUS FREE shipping! Looking for a new favorite tee? This is it! Super soft TRI-BLEND fabrication for the best look and feel! Wear with jeans and booties, or layer it with a cardigan and chunky necklace. Relaxed, loose fit. Most find ordering their usual size works best . If you like a more fitted tee or are in between sizes, consider sizing down.